Kit includes 25 grams PMC3 Clay, 15 grams of slip, 9 gram syringe, a polishing brush, our tool kit, Two 4mm CZ Diamond gems and a firing grate for easy firing. 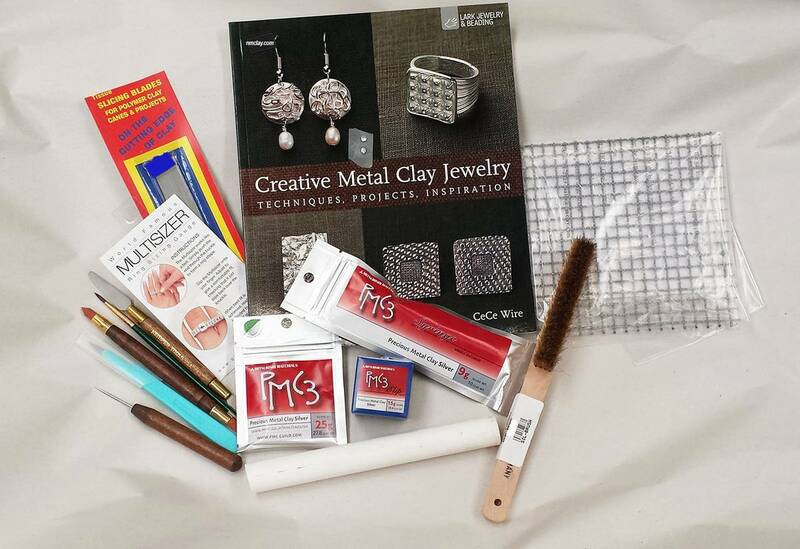 Everything you need to start working with precious metal clay, today! Stainless steel firing grate (optional) for easy firing on a gas stove top or with any propane torch. Make a project and finish in a few hours; a real "Fine Silver" 999 jewelry piece can be yours, that you make for less than a manufactured ring from JC Pennys!